old elm, poplar, paulownia, etc and old boat wood. 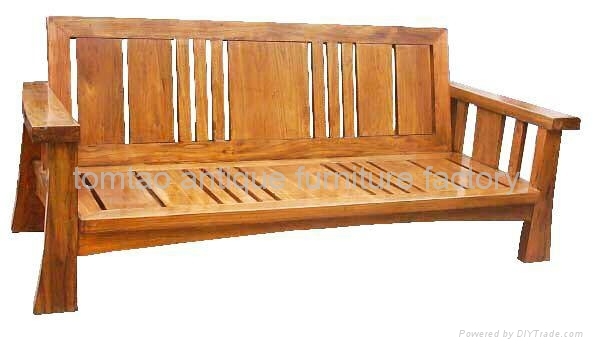 You can buy the wood sofa without cushion, or with cushion with additional price. My factory use water base health paint, or wax like OSMO, etc to do finishing and our furniture have no terrible smell from traditional chemical paint.